We ended up at the Redmond Town Center location due in part it was the closest to the Dough Zone, where we just had dinner. 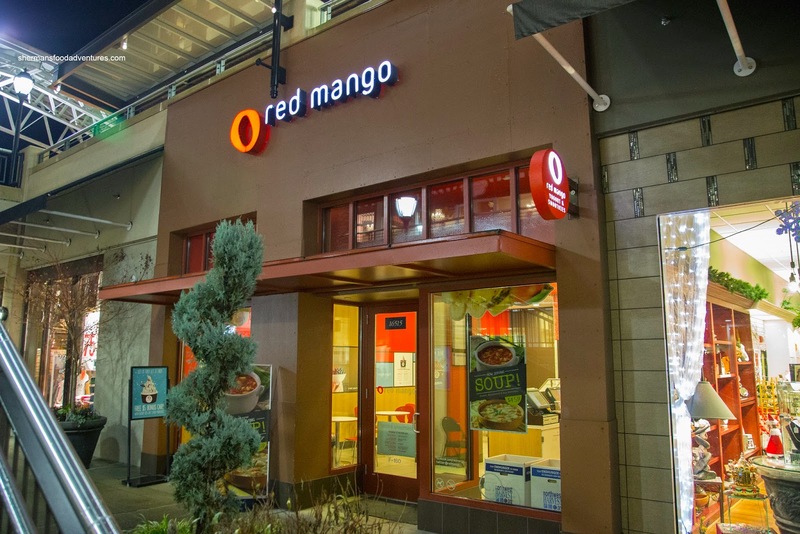 With a similar setup as many of the other froyo chains out there, we had 8 choices of flavors including vanilla bean, slam dunk, Caribbean coconut, milk chocolate, spiced pumkin, original, blackberry and white peach. 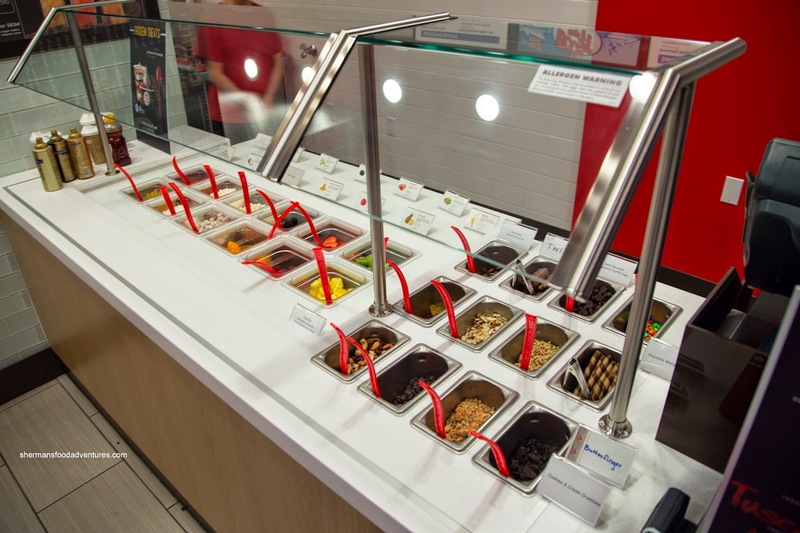 As for the toppings, everything was neat and orderly. 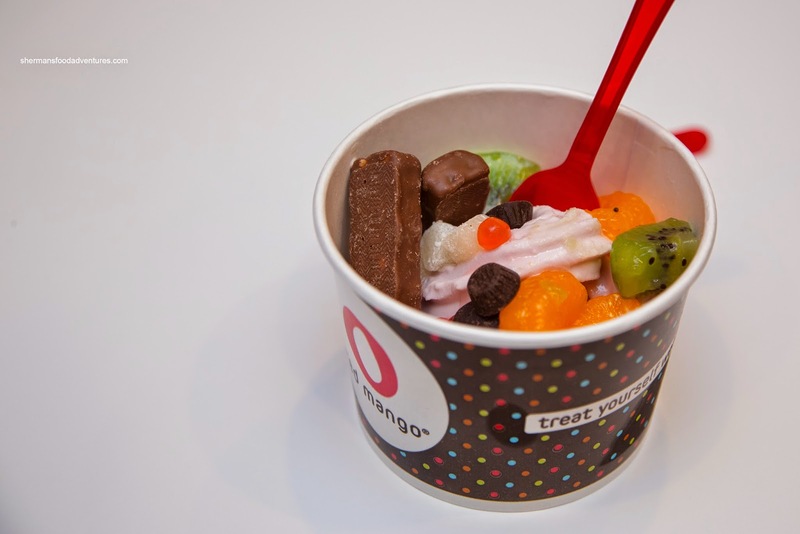 However, the variety definitely paled in comparison to a place like Menchies. Yet, by the same token, everything looked fresh and well-stocked. I decided on the Blackberry with an array of toppings including Twix, kiwi, Mandarin slices, mochi, dark chocolate raspberry mini truffle cups and passion fruit pearls. The first bite yielded a stingingly sweet fruity flavor that was further enhanced by the other sweet ingredients. In actuality, my daughter's White Peach was even more sweet in a candy-like manner. Of course, the addition of gummy bears didn't help. They were fresh and soft though. 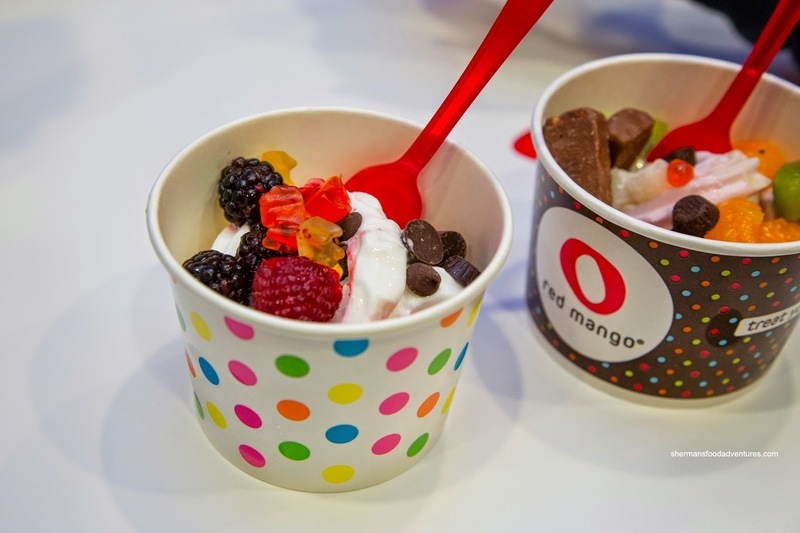 In terms of texture, the 2 froyos were somewhat creamy with a slightly icy finish. In the end, for the price we paid (at a discount), we were okay with what we had. 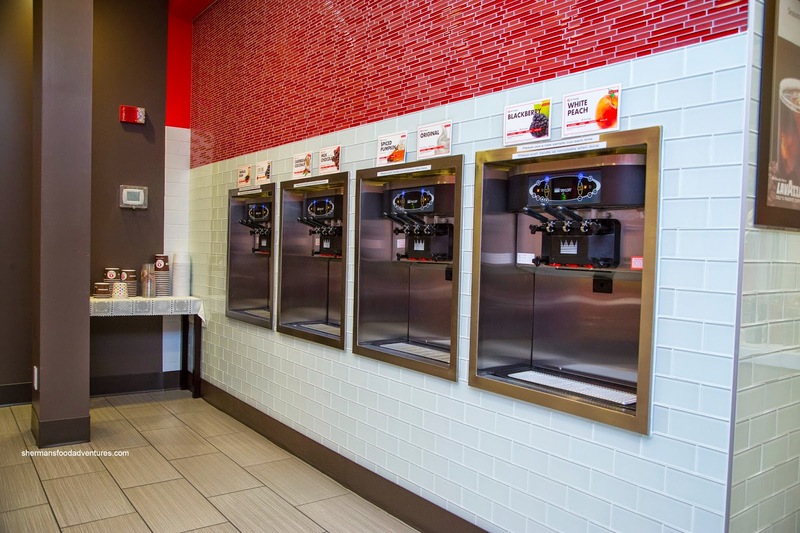 However, my personal preference would be Menchie's.